An otherwise moribund Brentford property market is apparently seeing support from the Help To Buy scheme which provides government loans to buyers to enable purchases. 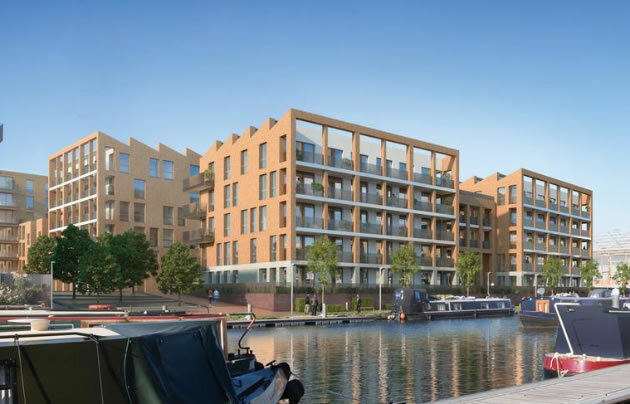 The latest sales information released by the Land Registry shows that over a third of the 67 sales reported so far in the TW8 postcode area in the last quarter of 2018 were in Isambard Court on Boaters Avenue which is part of the second phase of the Brentford Lock West development. One local estate agent said, "They are a achieving good prices for a part of the development that is not facing the water which is very encouraging. I would assume that many of these sales are enabled by the Help To Buy London scheme. The Government is desperate to support the housing market and will do whatever it is necessary to ensure that new developments get sold. Without this the Brentford property market would be more or less dead"
Under Help To Buy the purchaser must provide at least a 5% deposit but then the Government will provide up to 40% of the value of a newly built property as an equity loan reducing the risk for the bank which provides the rest of the purchase price. The scheme is available for homes up to £600,000 and is currently set to run until March 2023. No interest is charged on the equity loan for the first five years. Such funding is available for properties in the first phase of the Brentford Lock development. It is widely hoped that the scheme will enable the massive number of flats due to come to the market in the Brentford area to be sold many of which will be in locations much less attractive than the waterside developments. Despite this support for the market property prices fell on average by 5.3% to £504,746 and, excluding the sales in Brentford Lock West, turnover is down to historically low levels. Tom Bill, Partner and Head of London Residential Research at Knight Frank said, "The influence of political uncertainty on the prime London property market has grown markedly in the last six months. In the first half of 2018 there were signs the market was beginning to rally as asking prices adjusted more fully to reflect higher transaction costs. "However, with Brexit uncertainty persisting ahead of the UK’s planned departure from the EU, sales volumes in prime outer London were down by 10% year-on-year in January and the annual price decrease widened to 4.6%. "Identifying individual factors affecting the performance of the prime London property market can be a complex task but the impact of political uncertainty was decisive during 2018. Indeed, economic sentiment indicators displayed a similar trend. The Lloyds business barometer began the year with a reading of 35% in January but had fallen to 17% by December. "However, there are signs that pent-up demand is building. The number of new prospective buyers registering rose by 5% across prime London markets in 2018. Indeed, the ratio of new demand to new supply rose to 4.9 in the final quarter of 2018, the highest level in four years. While it is unknown when the current level of political uncertainty will recede, the conditions for a recovery in the London property market appear to be taking shape. Robert Gardner, Nationwide's Chief Economist, said ““Indicators of housing market activity, such as the number of property transactions and the number of mortgages approved for house purchase, have remained broadly stable in recent months, but forward-looking indicators had suggested some softening was likely. Regular updates on the local property market are published in the weekly BrentfordTW8.com newsletter. Where do I live? Brentford TW8 postcodes are divided into three sectors, TW8 0xx, TW8 8xx and TW8 9xx. Broadly speaking, TW8 0xx covers areas east of Boston Manor Road, TW8 8xx goes west of Boston Manor Road, whilst TW8 9xx covers the areas to the north of the A4.